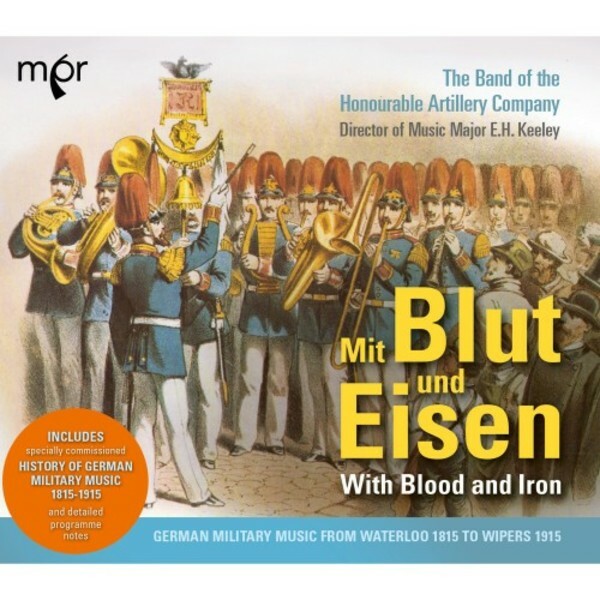 Mit Blut und Eisen (‘With Blood & Iron’) is a fascinating selection of military music played by German bands during the momentous 100 years between 1815 and 1915. Some marches are quite well known and some are rarities. The century began with the Anglo-Prussian victory at Waterloo in 1815, continues through the wars of German unification from 1864 to 1871, the Great War’s outbreak in August 1914, and culminates at the stalemate in the trenches around Ypres (‘Wipers’) in 1915. Much research has been carried out by military music historian Tony Dean and the booklet contains fulsome detailed notes about the music and the its historic contexts.